Hand crafted and custom designed; each piece of Toby Eagle jewellery is made in Sydney, Australia primarily from reclaimed sterling silver and gold and other high quality materials. All jewellery is nickel free and perfect for sensitive skin types. Australian metal smith Toby Eagle graduated with a BA in Gold and silversmithing at the Australian National University. 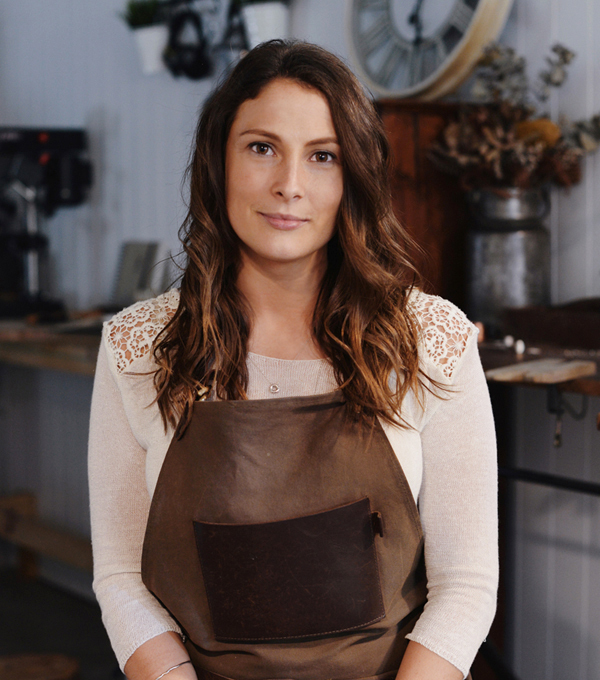 She uses traditional smithing techniques to create one-of-a-kind jewellery with an Eco-conscious twist. All Toby Eagle Jewellery is created with a focus on re-use and responsible production as well as made for sensitive skin types. Each piece is designed, crafted and finished in Toby's studio on the Northern Beaches in Sydney, because of the hands on nature and traditional processes used this means that each piece is uniquely different. Toby has always had a love for supporting the local art scene and in 2015 she built an artists hub on the northern beaches called 'The Vale Studios' where she has her own workshop and rents out three other studios to various artists. She also co-owned a gallery/shop in Freshwater, NSW, called 'Lawrence St Makers' which also supported local emerging artists. When Toby is not in the workshop she is out surfing, paddle boarding, rock climbing and enjoying her natural surroundings. She loves to travel and has lived in many different cities in Australia and overseas, her main collections reflect her fascination with various cultural and historic movements as well as draw on the organic shapes and natural environment of her coastal home. Toby Eagle jewellery has been worn by celebrities such as international popstar Ke$ha and tv host Amanda Keller.